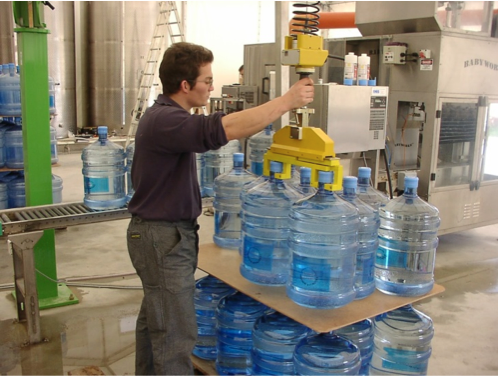 Improving operator safety and productivity is the objective of SIT Indeva. Intelligent Lift Assist Devices, or Counter Balancers, use a computer controlled servo hoist to allow "zero gravity lifting". The Liftronic® series of electronic zero gravity balancers can be configured with a self supporting column and articulating arm, or suspended under a workstation bridge. The new Liftronic® Air uses Indeva's expertise in pneumatic lifting with electronic control. 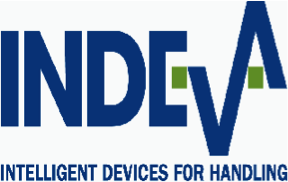 Indeva is one of the few providers of a complete system in ergonomic lifting and manipulators. 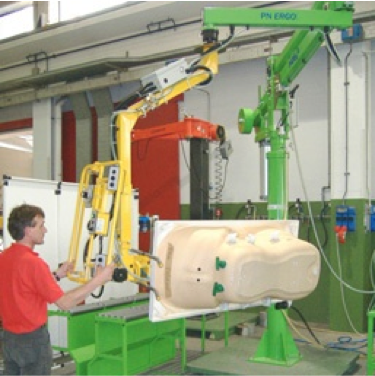 Indeva has decades of expertise in applying both electronic and pneumatic controlled intelligent lift assists with a custom designed manipulator to improve your industrial ergonomic lifting application. When properly applied, an Indeva Liftronic® Intelligent Industrial Manipulators have a positive return. The Liftronic® series of Lift Assists are more than a Servo Hoist. Indeva has the experience of thousands of manipulator applications across many industries and applies the knowledge to your application. 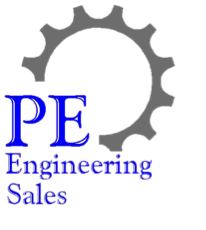 PE Engineering Sales is the Factory Rep for Indeva and works directly with the client to determine the best operating system parameters to meet the client's business objectives. 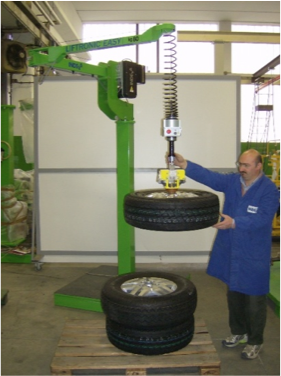 Indeva provides the experience and expertise in complete Ergonomic Lift Assist Manipulator systems to improve our client's safety and productivity.